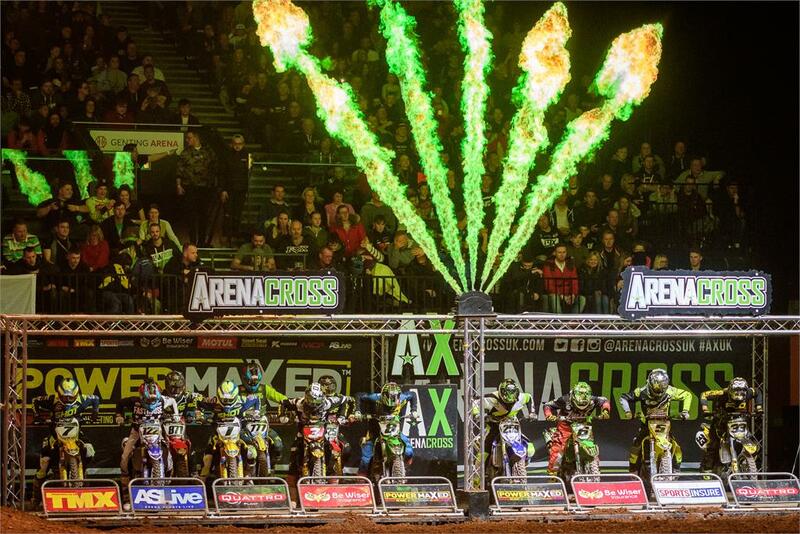 Reigning Champion Thomas Ramette jumped back into contention at the third round of the 2018 Power Maxed Arenacross Tour aboard his SR75 World Team Suzuki RM-Z450 at The Genting Arena in Birmingham, UK last night with victory ahead of team-mate Cyrille Coulon. It was also a great night for other Suzuki RM-Z450-mounted teams as French Supercross Champion Cedric Soubeyras (Team FRO Systems Suzuki) – fastest qualifier on the day – raced to sixth place aboard his RM-Z450 with RFX Suzuki’s Evgeny Bobryshev taking seventh in the Pro Final. Championship leader, Soubeyras, lined-up his Team FRO Systems Suzuki fourth on the gate for the Main Event and had a solid start. An ‘off’ in the early stages of the race saw him circulating at the back for a few laps but, ever-determined, and with the Championship clearly in his mind, he picked-up his speed and worked his way through the pack to a hard-fought sixth overall. But this left the way clear at the front for the super-smooth SR75 World Suzuki pairing of Ramette and Coulon to pull away from the field and lay claim to a spectacular one-two team finish.